Here is what Anushka has to say about Shah Rukh Khan and Katrina. The upcoming movie Zero stars Katrina Kaif in a key role alongside the actor. The most common curiosity among the fans is that how Shah Rukh Khan will portray the character of dwarf in the movie. The teaser of the movie is out and fans praised Shah Rukh’s unusual avatar in the movie. Actor Anushka Sharma recently took to Instagram to share an adorable post with her Zero director Anand L Rai and co-star Shah Rukh Khan. She wrapped up shooting for her part in the film and thanked the cast and crew for being a support system in making the project wholeheartedly. 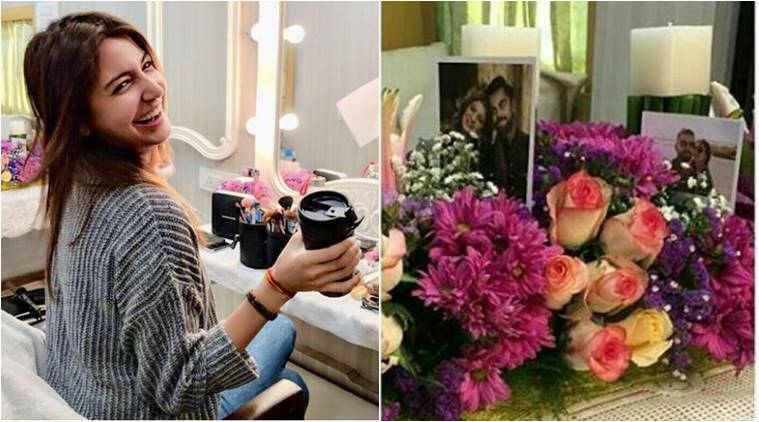 Anushka Sharma who is also the part of the film is excited about the movie and recently she took to Instagram to express her happiness. The post was about her wrap up from the shoot and thanking the director Anand L Rai and Shah Rukh Khan. She wrote,"Zero is all heart. Zero is these two wonderful people and everything they’ve endeavoured to create. Zero is me going on this journey with them. What a pleasure it has been. Big hug @aanandlrai and @iamsrk for your belief and to @katrinakaif for being the amaze one that she is! #ZeroWrap🎥"
Anand L Rai directorial movie Zero would be Sridevi’s last movie. The late actress had already shot scenes for a special appearance in the movie back in October 2017. The scene is about a party sequence where she will share screen space with Alia Bhatt and Karishma Kapoor.